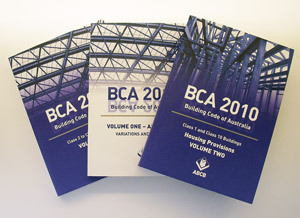 The Building Code of Australia (BCA) is maintained by the Australian Building Codes Board on behalf the Federal, State and Territory Governments. The BCA is a uniform set of technical provisions for the design and construction of buildings throughout Australia and allows for climatic variations and geographic conditions. The performance requirements of windows, doors and glazed assemblies are set out in Australian Standard AS2047 and where glazed assembles are not covered then the performance requirements of AS1288 are to be complied with. For the purposes of windows AS2047 classifies three classes of buildings each having a different maximum amount by which the critical structural elements (usually the interlocks, mullions and transoms) can deflect. Given the differences that arise from the above calculations, the end use of the building has a significant effect when determining a window’s rating and performance characteristics.